How Should One Best Evaluate Sonny Rollins’ Road Shows Vol 2? 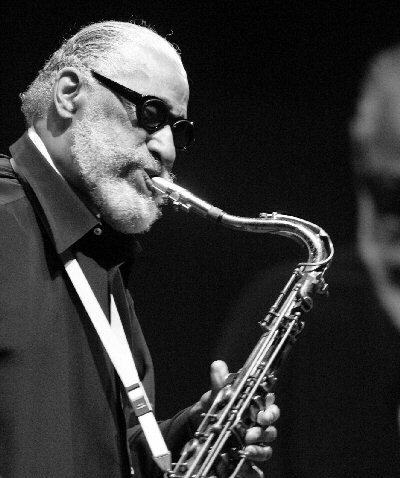 Sonny Rollins recently released the second installment of his Road Shows series, which primarily draws on material from his 80th birthday concert from New York’s Beacon Theater. While the event was certainly legendary, with performances by Roy Haynes, Christian McBride, Jim Hall, Roy Hargrove, and a surprise visit by Ornette Coleman – whom Rollins had never recorded with – the album, from my vantage point, is far less than legendary. Critics hailed the first volume of Road Shows, which featured live performances from the last 27 years. One, whose name escapes me, felt it was one of the most important releases of the decade. Many critics have bestowed similar praise to Volume 2; comments range from “masterpiece” to “metaphysical.” I cannot help but feel these hyperbolic evaluations of Rollins’ new album stems from nothing but hero worship, and yes, I am fully prepared to catch a bunch of heat from this. But…as frequent readers of this blog know, I don’t mind sticking my chin out there. A lot of people compare jazz with boxing, and as a boxing connoisseur, I feel that a boxing metaphor can help inform Rollins’ performances on Volume 2. One of my favorite boxing commentators – Teddy Atlas – will often say that boxers who have had a long career, and who have been through many wars, don’t have much tread left on the tires. Just as it is with boxers, so too is it with saxophone players: there’s a point – and this varies from player to player – where saxophonists become physically unable to control the horn in a way that allows them to fully execute their ideas. Yes, the fire and the creativity are still there, but the body, especially the muscles that control the embouchure, has just run out of tread. Audible signs include a wobbly, or inconsistent tone, poor intonation, poor response, and poor time, just to name a few. Unfortunately, and it pains me to say this, because Rollins is one of my heroes, Rollins displays all the above symptoms of a saxophonist with little tread left; he is a shadow of his former self on Volume 2. And it pains me further to admit that Ornette, who blows a few choruses on “Sonnymoon for Two,” has declined as well. This should not come as any surprise. We all get older, our bodies decline, and as numerous Delta bluesmen have sang: “I can’t do the things I used to” (a painful and tortured version by Buddy Guy on his epic album Sweet Tea immediately comes to mind here). Which leads me to the point of this post: how should one best evaluate Volume 2? As an event – and yes, I wish I could have been there – it was certainly a 5 star event (based on Downbeat‘s highest possible rating), the stuff of legend. As an album, and this is where things get a bit tricky – it’s average at best. Compared to his masterpieces, such as Saxophone Colossus or The Bridge, it’s not even a contest. Now, to be fair, there is some excellent playing on the album. Jim Hall sounds fantastic on “In a Sentimental Mood.” Roy Haynes sounds great, as do Christian McBride and Roy Hargrove. If you compare Volume 2 to many of the fantastic albums that have come out in the last year or two, it’s also an average record. But after considering all of the above, I’m still not sure how to best judge albums – and not just this one. Do you factor in past performances? The context in which the record was made? How it compares to previous records by the artist? Comparing it to the cutting edge albums? All of the above? At the end of the day, reviewing records is a tough job. I believe it was Amiri Baraka, although I may be mistaken, who said that a critic should be able to determine whether or not an album is valuable at the time the album comes out. That is no easy task, and I challenge people who have not written criticism to give it a shot. In terms of Rollins’ Roadshows Vol. 2: As a record that documents the life and work of one of the most important figures in jazz, it’s valuable. But based on the quality of the performance, it’s an album that’s best listened to once or twice and then put away. In other words (and this is going to fulfill one of the other duties of the critic): go check it out at your local library before buying.